Dawsonville, October 28, 2013: The Dawson County Chamber of Commerce received a surprise contribution from Sawnee EMC on Wednesday of last week. 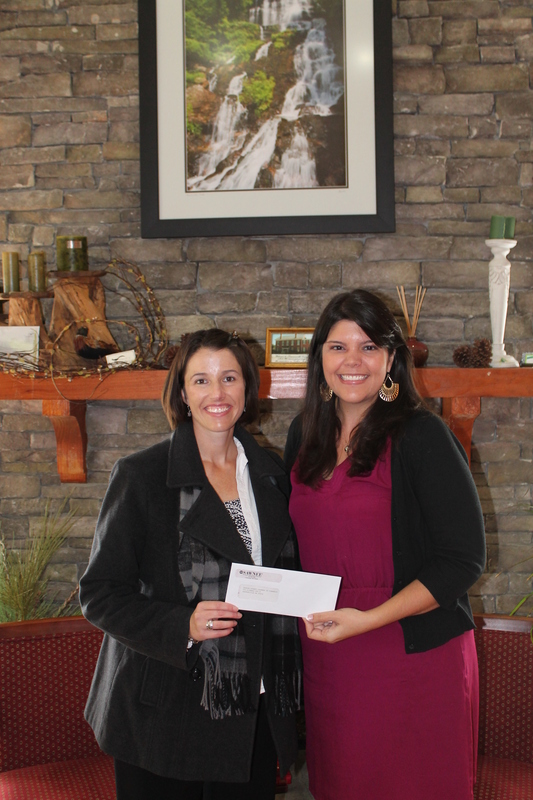 Mandy Love, Energy Services Representative for Sawnee, presented the check to Chamber President Christie Haynes at their Welcome Center offices. The contribution is given to support continued local economic growth and to strengthen resources available to Dawson County’s businesses and community. “Contributions such as these allow us to offer a variety of programs for our business owners to increase their knowledge in a changing economic world. We are extremely grateful for the support and partnership of Sawnee EMC” said President Haynes.